Augustine lived in troubled times near the end of the Roman Empire. Barbarians fought with Romans, and Christianity struggled against the worship of the old gods, and new cults. There were plenty of thrills for ambitious young men who did not care about following God’s laws, and Augustine made sure that he had his fill – despite the upset and shame it would bring to his godly mother. During all of his wanderings, through the Roman world and through philosophy, it seemed impossible that Augustine would ever return to the truth. But it was possible, and today the Christian church has the proof in Augustine’s life and writings that God can bring the greatest, most stubborn, sinner to himself. Augustine: The Truth Seeker is available for half price on throughout May 2018. Read a sample chapter of Augustine: The Truth Seeker. 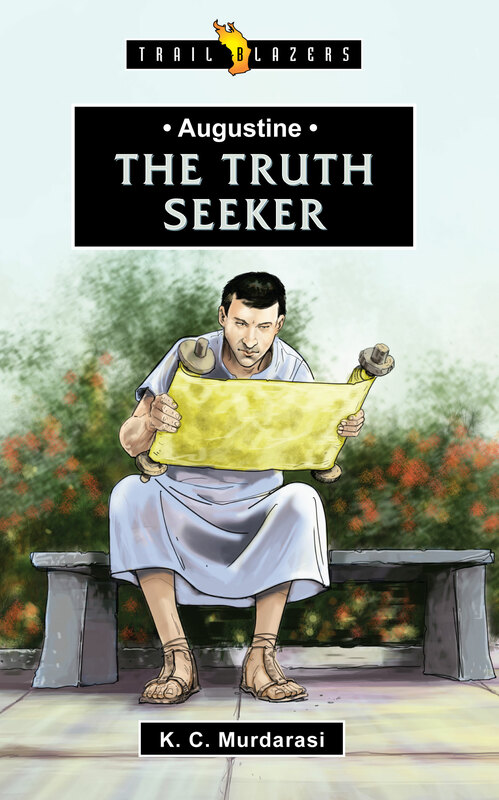 Augustine: The Truth Seeker was released in the UK in April 2014 (priced £5.99), and the US in May 2014. It is available as a paperback and ebook from the usual bookshops, and as an audiobook from Christian Audio. Augustine the Truth Seeker is published by Christian Focus Publications.